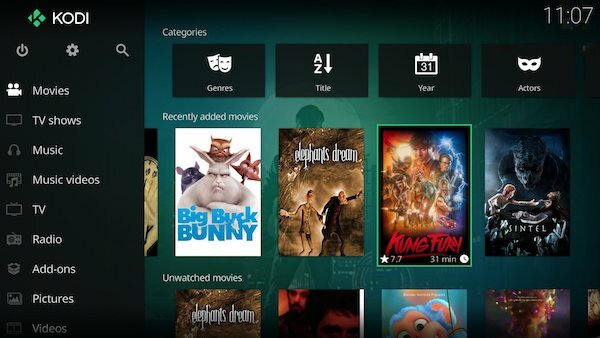 Here is another great news to Lovers of Kodi as it releases its latest version named Kodi 17.1 . Kodi® media center, formerly known as XBMC™ Media Center, is an award-winning free and open source cross-platform software media player and entertainment hub for digital media for HTPCs (Home theater PCs). Its graphical user interface (GUI) allows the user to easily browse and view videos, photos, podcasts, and music from a harddrive, optical disc, local network, and the internet. Permissions: This app has access to your Device & app history, Photos/Media/Files, Storage, pair with Bluetooth devices, full network access, change your audio settings, prevent device from sleeping.